Thank you to everyone who links up with us each week! Just a quick moment to reflect on the anniversary of the attacks on our country. I will always remember watching the plane strikes on live television as I got ready for class in my dorm room. I was a sophomore. I didn't know what to make of what was happening and certainly didn't understand the gravity of it all at that moment. The hours that followed were horrifying, and it made me want to be at home with my family immediately and not stuck two hours away at college in Greenville. Such a sad day that we will never forget. Moving on to a more positive Greenville anecdote ... last weekend, my sister treated all of us to her recipe for bar pies on Friday night. These super flat thin crust pizzas are actually made with flour tortillas as the crust, but you'd never know it! The tortilla gets crunchy and crispy and is REALLY delicious. You can find her recipe here. I did a barbeque chicken version with a BBQ sauce base, cheddar cheese, and shredded chicken. 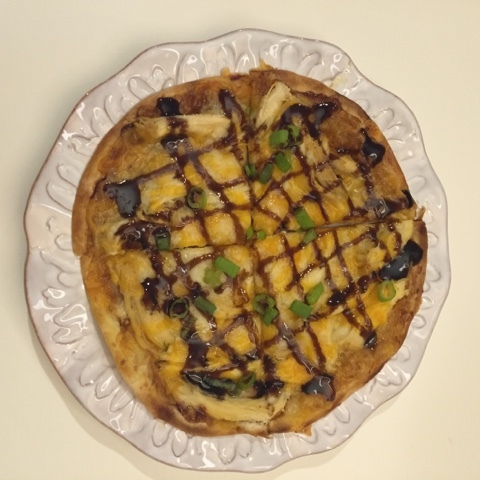 Once it was baked, I topped it with balsamic glaze and chopped green onion. Would definitely recommend bar pies! 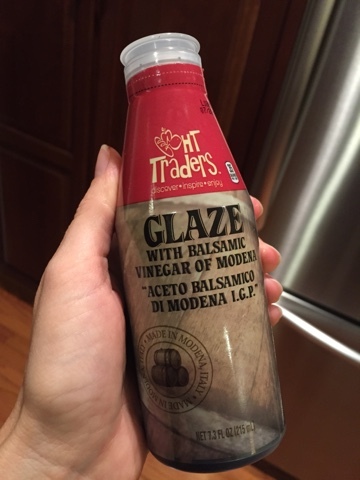 If you happen to live hear a Harris Teeter, they make this delicious balsamic glaze and it's less than $5. I have burned WAY too many batches of balsamic vinegar on the stovetop trying to thicken it into a glaze, so this bottle is worth every penny. 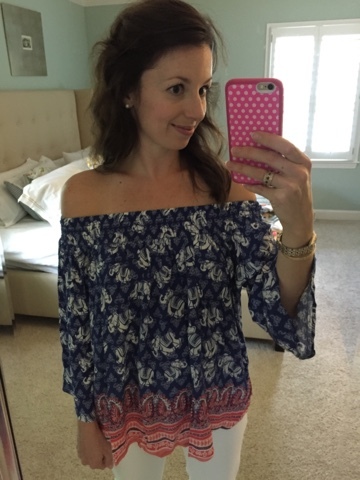 The top I ordered from Nordstrom (mentioned in this post) came in the mail yesterday and ... I LOVE IT! And Ian loves it a TON too ... he was strangely enthusiastic about it. Strangely enthusiastic. HA! I will definitely be wearing it out on an upcoming date night! Being that I got it for less than $22 after tax made it a really fantastic purchase. I love the off-the-shoulder trend, but you won't find me spending gobs of money on a short-lived piece like this. Perfect pricepoint, great quality, free shipping/returns to boot. For a size reference, I am 5'2, typically wear XS/S, and I went with the small. I love the elephants on it! 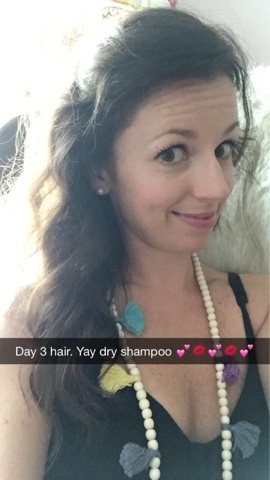 Dry shampoo! You guys are AWESOME with your recommendations! I loved reading all of the comments in this post and also on my Instagram feed (@alizadventures). Wednesday, I used Herbal Essences Naked Dry Shampoo and was so pleased with how much volume it gave my hair that I curled it with a curling wand and wore it down. That afternoon, I stopped into TJ Maxx and purchased one more to try that was highly recommended, Batiste! Thursday morning I woke up and was shocked that my hair was not stuck to my head. It still had tons of volume! I decided I could attempt a second day of dry shampoo, and if it was bad, I could just wear it up in a bun. I used Batiste Dark and Deep Brown (exact same price here I paid at TJ Maxx) and touched it up again with my curling wand. I was thrilled to wear it down again ... this has never happened before! Never! I posted this photo on Snapchat (@alizadventures) and will keep you posted if I end up loving either one above more than the other. I also want to try Pssssttt! and Amika due to your rave reviews. Lastly, a quick Rocksbox update. I am still LOVING this jewelry subscription service. Below are the last three items I received. I just mailed them back and my three new pieces are already en route to my home. Stylists take a look at your wishlist (and feedback from past shipments) to send you three designer pieces. Most boxes are around $200 in value, so they are NICE pieces. For the monthly fee, you can send back the box as often as you'd like to get a new box. Unlimited swaps. When you are ready to send back your box, you just use a prepaid envelope, slip the white box shown below right in, and then put it in your mailbox ... no trip to the post office necessary. 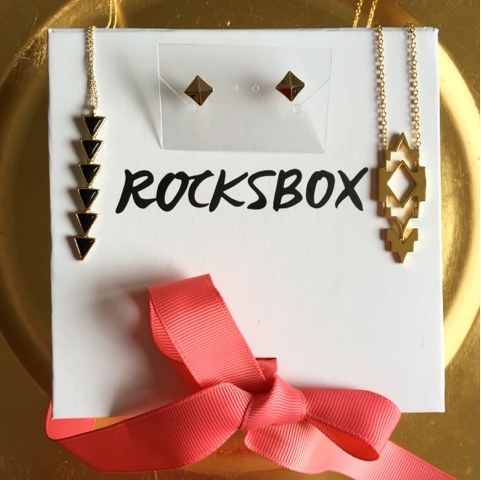 If you haven't given Rocksbox a shot but would like to, you can receive your first month free! those pizzas sound incredible!!! friday night dinner?! I'm thinking YES! You DO look quite fabulous in that top so it's no wonder he was so enthusiastic!!! I love your look and I think the white after Labor Day rule needs to be changed - it's still HOT! I am totally going to try out the Herbal Essence and Batiste Dry Shampoo! Also- of course Ian was super excited about that top....showing a little skin...totally still classy and tasteful...you're one hot momma! :) Have a fabulous weekend!! Love that top! If I didn't need everything to be a nursing top these days, I would jump on that! Dry shampoo makes the world go round! I will never go back haha! 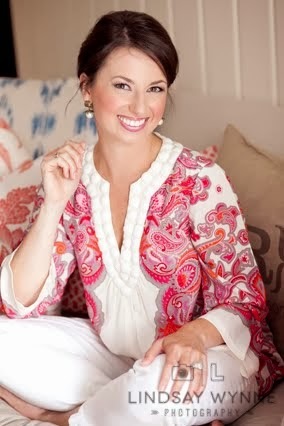 Love love love that top, perfect for now when temps are still warm and would be great for summer with shorts! I need to get on the dry shampoo train, I wash my hair every day and hate that I have to but it gets so oily, I may have to try and train it as well! Hope yall have a great weekend! That top is so fab! Loving that off the shoulder top, I can never find one that looks good on me they never rest right but that one seems perfect. Now to petition for Nordstrom to come to the u.k so I can get my shop on. Dry shampoo is such a life saver, I always use mine. Happy Friday! I love your new top! 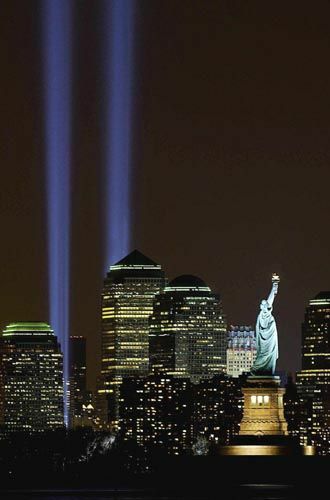 I was a sophomore in college during 9/11 as well, and I wanted to leave and go home so badly to be with my family. It was a rough day. Girl, I love that top... it looks great on you! Hope you guys have a great weekend! 9/11 is so hard and yet strange. I remember exactly where I was as if it was yesterday and I still it's crazy to me that it happened. Dry Shampoo is a life saver. If I don't use it, my hair is super greasy after one day. I like Not Your Mother's hair products and the Suave dry shampoo. I'll have to try out the brands you used, too! Thanks for the recommendations on dry shampoos! I use Dove right now which I've been happy with, but I'm going to try out Batiste. I'm not sure why other dry shampoos haven't added in the color component, especially for dark hair!